Colorado Springs EV Club: Ribbon Cutting on Dec. 19, 2018! Ribbon Cutting on Dec. 19, 2018! You're invited to help us celebrate at the Ribbon Cutting Ceremony for the new Electric Vehicle Charging Station being installed at the Pueblo West Library. When: December 19, 2018 from 2:00 to 3:00 p.m.
Where: Pueblo West Library, Room A located at 298 S. Joe Martinez Blvd. The Pueblo West community is holding a ribbon cutting for the new electric vehicle charging station, currently under construction at the Pueblo West Library on December 19 at 2 p.m. The key note speaker will discuss how consumers can take advantage of EV rebates and tax credits. 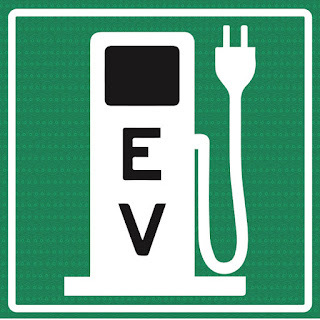 The speaker will also discuss funding programs such as Charge Ahead Colorado, which will fund up to 80 percent of EV charging stations and ALT Fuels Colorado which funds up to 40 percent of electric transit and freight vehicles and explain the economic and environmental benefits of EV adoption. The chargers are brought to you by San Isabel Electric, Pueblo County Energy Office, Pueblo City-County Library District, Bank of the San Juans, the Renewable Energy Owners Coalition of America, and Pueblo West Metro District. Welcome our latest member, David! What happens to your EV batteries? CSEVC Holiday Party 2018 a success!